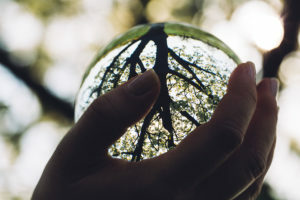 Energy efficient design is no longer just a selling point for big businesses and progressive corporations; it is also a concept that can help homeowners save money and simplify their households. How can energy efficiency help the average homeowner make it to the end of the month with a few extra dollars? Keep reading to find out. Fixr recently published a study looking at single family construction trends, with input from influential construction and design experts, including builders, manufacturers and even editors from industry publications. 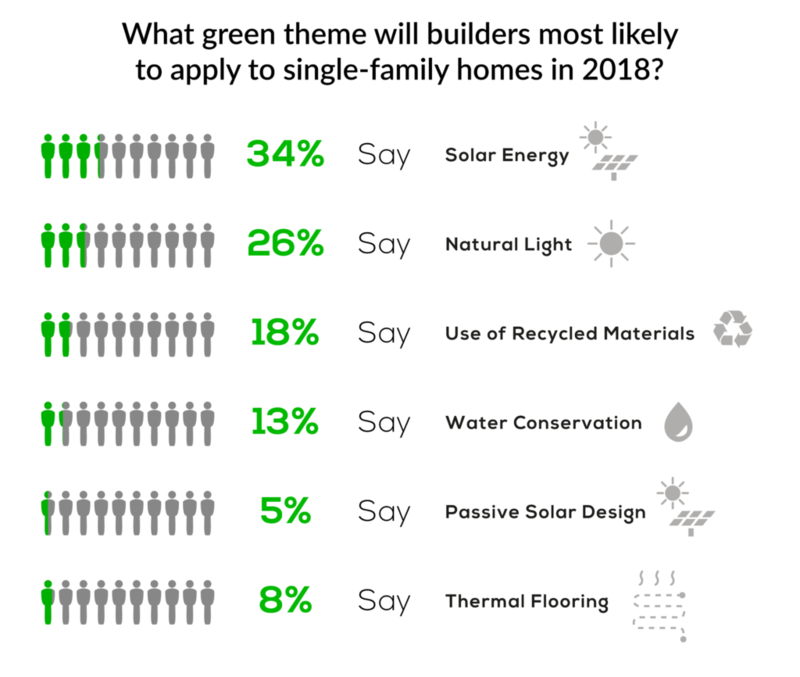 Second only to smart home design, green and energy efficient features got 39% of the vote for most likely design theme. 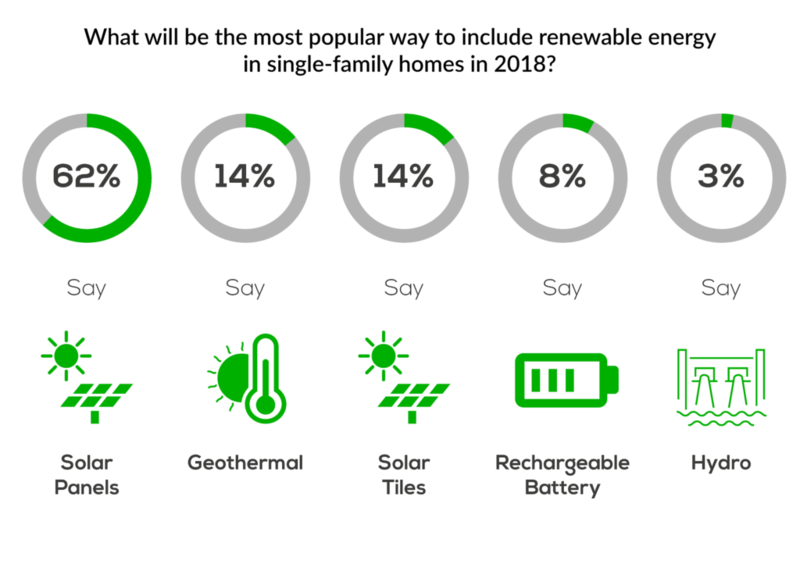 Solar energy was top of the list for survey respondents who were asked what they thought would be the most common green theme in new homes. This answer is not surprising given the 105 percent growth of residential photovoltaic installations. Although the cost of solar panel installation varies depending on your region, most initial outlays fall between $18,000 and $20,000. Fortunately, there is currently a residential federal tax credit in place that will save you 30% of that upfront cost, if installed by December 31, 2019. Furthermore, depending on your state’s solar ranking, you could also receive cash back or property tax and fine exemptions. 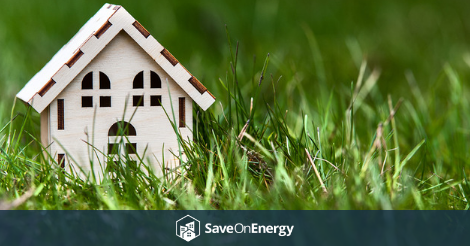 Once you’ve calculated the upfront costs, consider the future savings your solar system will provide – most homes reach 100 percent Return On Investment (ROI) in about 10-20 years. And don’t forget: apart from saving money, you will also be reducing your impact on the environment! The average residential solar array, for example, can offset all the emissions from one of your family cars. Not a bad deal. Geothermal heat pumps were the second most popular choice for ways to incorporate renewable energy into single family homes. These pumps work by utilizing the constant temperature of the ground beneath the earth’s surface to either heat or cool the temperature inside your house. Initial outlay can vary greatly depending on the type of system you install, with an average cost of $7,500 for 3 tons. Your choice of system also depends on the space you have, the geological state of the ground, groundwater levels and several other factors. Costs can be offset with government incentives through Dsire, but the real value is in potential savings; most geothermal systems have an ROI of 2-10 years (if you add the cost to your mortgage, the energy cost savings will easily exceed the added cost, making your ROI instant). You also get up to 75% less electricity consumption than conventional systems, zero noise pollution, little to no environmental pollution, and warranties of 25-50 years. Falling under both smart homes and green/energy efficient design, an Energy Star-rated HVAC System and smart thermostat were top of the list for most-likely smart home additions. Replacing your aging (12 years or older), inefficient HVAC system with a new Energy Star model can save you as much as 30% on energy bills. Upgrades start at about $3,500, depending on where you live. To amplify savings and keep that precious A/C contained, seal all of your ducts and any external access points, install double glazing if possible (in colder climates) and commit to regular system maintenance as needed. Add a smart thermostat for remote system control and you can save an additional $180 per year. 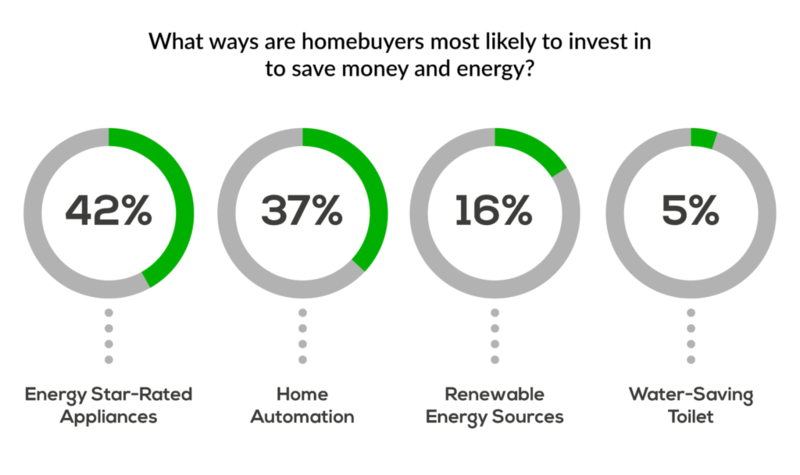 Energy wise appliances were rated as the best investment for homeowners to ensure savings. And due to increased demand, many energy efficient models now cost the same or less than non-certified options. Certified washers and dryers, a set of which starts from about $1,000, can save you 25 percent on monthly energy bills. Energy Star refrigerators can save you roughly $270 in 5 years, with prices starting as low as $450. Couple the above with an energy star dishwasher, which will only cost $35 per year to run, and you’re looking at some impressive savings on your monthly bills. Another simple way to save some green: save water! High efficiency flush toilets start around $240 and use only 1.6 gallons of water or less per flush, saving your 4 person family up to 27,000 gallons per year. 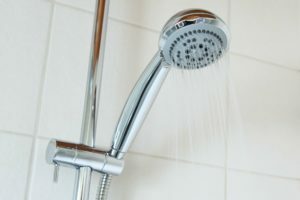 Low flow shower heads and taps, which can be found for just $13, can save over 50 percent of water consumed by traditional taps. An energy efficient washing machine can save up to 40 percent on your household’s water usage, while an efficient dishwasher can save another 8 gallons per load. Installing a rainwater collection system will cost about $2,500 but is another great way to save on monthly water bills. Making these efficiency upgrades may take some investment and planning, but the long-term savings in water, energy and money make them well worth your time.